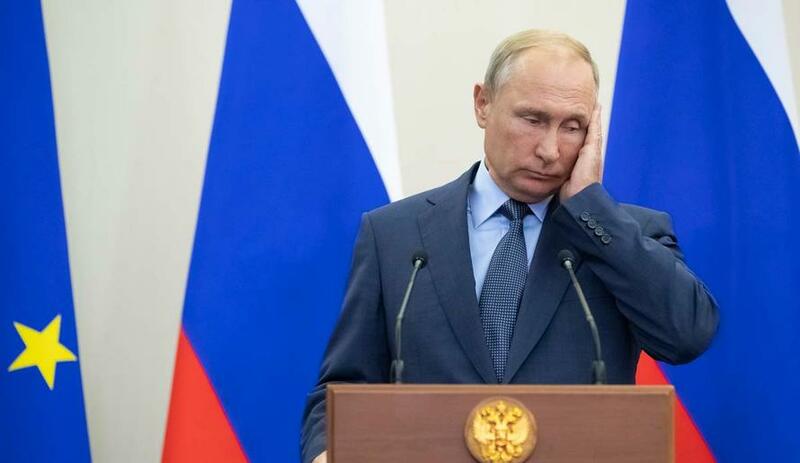 A new study by Bloomberg Economics claims that US sanctions have knocked as much as 6% off Russia's economy over the past four years. The findings highlight the general devastation that Washington and E.U. sanctions against Moscow wreaked in the aftermath of the Crimean crisis in 2014. According to the authors the estimate is based on a growth forecast that would be reasonably expected according to indicators at the end of 2013 if the crisis had never happened. 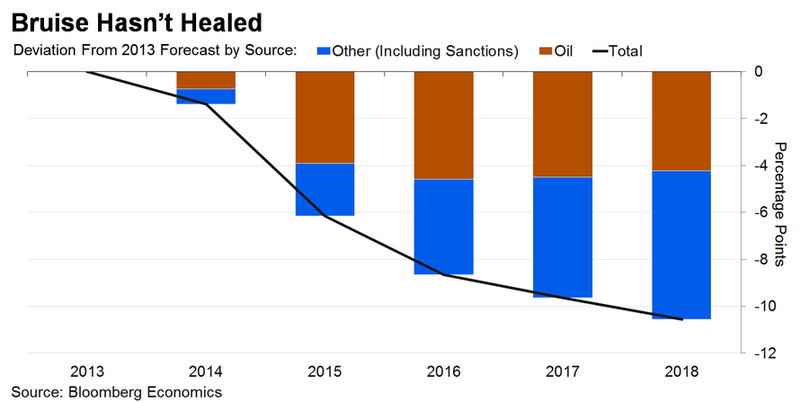 The study found that while some of the blame is due to the slump in oil prices, sanctions have been the bigger driver, and perhaps partly the introduction of inflation targeting and a sell-off in emerging markets could be other factors. Policies aimed at protecting the nation from future sanctions by building up reserves have made it more resilient, but they have come at the expense of growth. Still, the Kremlin argues that the sanctions haven’t had an impact on its foreign policy. However, the fact that the gap in potential versus actual growth continues to widen implies that sanctions are having a prolonged impact, the analysts said. 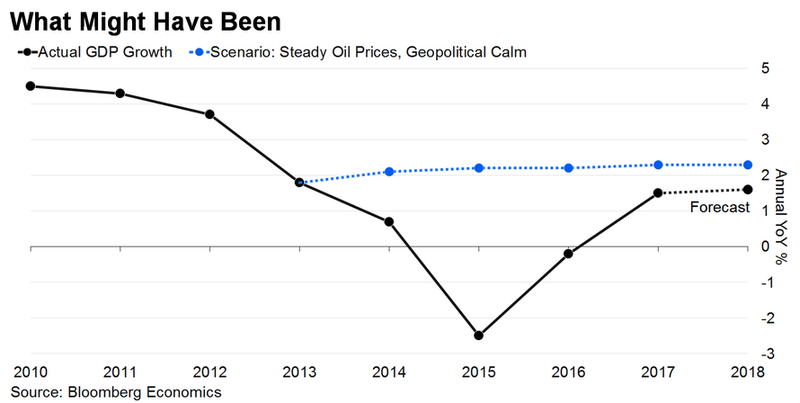 The lingering effect puts under question Russian government forecasts that policy changes and investment will push GDP growth above 3 percent by 2021. Meanwhile the U.S. State Department announced this week it's actually considering further rounds of draconian sanctions related to the Skripal case. US Assistant Secretary of State for International Security and Nonproliferation Christopher Ford said on Wednesday: "Under statute… there is a menu of options if you will, things that need to be considered. As part of that, we do not have an inter-agency decision answer on what those pieces are yet. It is under active consideration." He threatened further: "The second round of sanctions under the statue is a more draconian menu than the first round." And later in the week on Friday Secretary of State Mike Pompeo promised efforts toward a further squeeze on Russian energy export efforts, saying on Friday, "We will keep working together to stop the Nord Stream 2 project that undermines Ukraine's economic and strategic security." Nord Stream 2 is expected to be put into operation by the end of 2019 and is seen as a vital European lifeline Russia needs to halt its economic slide, and an issue where Europe has shown itself unwilling to bow to US demands.